10-22-2017 Message- Is Jesus A Brand? Only God can write such a letter. His letter authorizes us to help carry out this new plan of action. The plan wasn’t written out with ink on paper, with pages and pages of legal footnotes, killing your spirit. It’s written with Spirit on spirit, his life on our lives! (2 Corinthians 3:5-6). October may herald the start of the Fall season, but apparently there is much more associated with the month. Did you know that October, for example, is Computer Learning Month? It’s also International Dinosaur Month, Bullying Prevention Month, ADHD Awareness Month, Learning Disabilities Awareness Month, Diversity Awareness Month, Positive Attitude Month, National Ergonomics Month, and National Book Month. Whew! October is also a great time to reflect back on our Summer. We enjoyed very strong attendance and giving at worship and our events from Open Air Craft Markets to dinners which were truly energizing events! Thank you for the way you and your family connects to what God is doing in our community! Part of our mission as a worshipping community is also being excellent stewards of our expansive campus of more than 200 acres. This is an area we have experienced some growing pains this past Summer. Our cemetery is visited every day by families expressing love and devotion for loved ones. We are honored to serve families at every stage of life and take great pride in providing burial and grave services that make visits to our cemetery meaningful, safe, and welcoming. We recognize our special, sacred space is important to hundreds of families and we have a great staff that consistently ensures that it is beautiful and well-maintained. But unfortunately, the last 6-8 weeks of the Summer have been particularly challenging to our team and we have not meet our high standards and campus appearance goals. On behalf of the entire Cold Spring Church staff, leadership team, and congregation, I offer my apology for any distress or concern the tall grass and unkempt look around your family’s tombstones, headstones, or markers may have caused your family. Our staff knows better than anyone that we got behind in our grass cutting efforts. We realize there is no excuse that can make up for the unexpected and atypical deficiencies this Summer, and you will be glad to know that we are again achieving our high standards of care and maintenance. I’d like to help you understand what we have learned and what we are now doing to keep our campus looking great. We have a great staff! Our staff persistently cut the grass, but the grass was just too high for too long in some areas across our cemetery, especially in July and August. The grass cutting challenge was caused by a combination of factors. First, we had record rainfall this Summer. The grass and the weeds responded with aggressive growth. Normally by August the grass is pleasantly tan or brown color and almost dormant requiring less cutting. Not the case this Summer! Second, two of our staff left earlier than unexpected; one due to family matters and the other returned to school. Recruiting replacements has taken a long time. Third, this year we have accommodated more funeral services than usual, and during one seven-day period in August, we had seven funerals. We cannot cut grass in a section in which a funeral is being conducted. With so many funerals across our campus, re-scheduling the mowing activities to keep up with the active grass growing was a insurmountable task. Finally, thanks to our skilled and persistent staff, our campus is looking great again! October is the month for learning! On our website you will discover many energizing events and enjoyable opportunities for your entire family. Please let us know how we can better serve you. 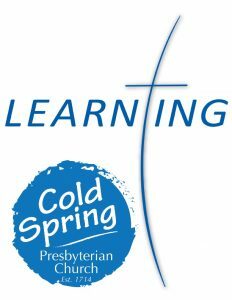 Cold Spring Church has been serving this community for more than 300 years, and as we keep growing and learning, it feels like we are just getting started! 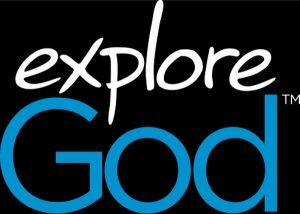 Why should we pursue exploring God? As believers in God we know that our final destiny is to be forever resting in Him; to be forever apart from God is the ultimate tragic loss! Many noted philosophers and great theologians of the past have spent much of their lives exploring God. 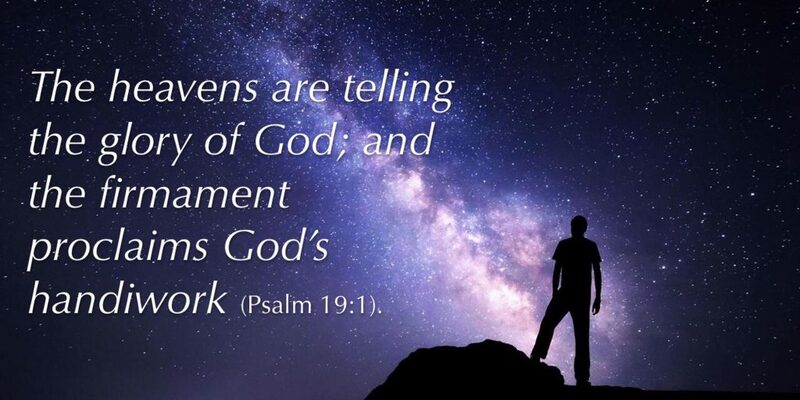 Many such educated and profound thinkers are exploring God today –even atheists talk about God! To such persons, the exploration of God seems to be rather important; to us as Christians it is vitally important: our very existence, life, and afterlife depend upon our connection with God! Understanding the significance of this truth, we must conclude that our relationship with our eternal Creator-God is of the utmost importance. Though much about God is shrouded in mystery, he has sufficiently revealed enough of himself in many ways for us to come to know and love him intimately. What does the Triune God Himself say about this truth? God the Father says “I am the Lord your God…you shall have no other gods before me!” (Exodus 5:6-7); Jesus the Son affirms the Father saying “Love the Lord your God with all your heart…soul…and mind. This is the first and greatest commandment.”(Mt.22:37-38); Jesus promises “the Advocate, the Holy Spirit, whom the Father will send in my name, will teach you all things and will remind you of everything I have said to you.”(John 14:26). Clearly, God wants to be pre-eminent in our lives –and He expects us to respond to his call. This begs the introspective question: “Where do I find myself in this divine expectation? What do I really know about God? How can I have a better understanding of God? How do I begin connecting with God?” To stimulate an interest in this pursuit, begin the practice of taking notes during ( or after ) each sermon of this series; then attend the follow-up discussion meeting to share your thoughts. Actively participating in this self-education process can open your mind and heart toward receiving a personal relationship with the Lord Jesus! “Q Place” means a safe place where you can ask questions about the topic under discussion. Everyone has the opportunity to explore the question more deeply –some by asking questions or sharing their own perspective and experience; others may prefer to just “listen in” and learn from what others have to say. Whether you are an active or a passive learner does not matter; the shared questions, perspectives, and experiences provide an interesting learning opportunity for everyone in the group. A short dvd introduction of the scheduled question will be viewed, followed by comments from the group. These comments are often the catalyst that ignite stimulating discussion! Recommended readings will be presented for those who wish to further explore the topic on their own. For anyone interested in discussing these Sunday sermon questions within a small group setting, simply show up for the designated class. No registration is needed to participate in this open-meeting format. You may participate in any one or more of these weekly sessions. Coffee and fellowship begin at 10:15am with the discussion led by a facilitator beginning at 10:30am. Wednesdays at 10:15am in the Taylor Room of Price Hall –on October 4, 11, 18, 25; and November 1. You may have noticed our banner now posted (near our worship center ) on Seashore Road proclaiming “We all have Questions! –Explore God”. There are also several “lawn signs” positioned by our several property driveways and facility entrances. In addition to a series of newspaper ads, these signs are another way that our church is announcing to our surrounding community ( and the out-of-town drive-by vehicles ) that we at Cold Spring are a participating church in this mission! The best ways are people like you helping us to “spread the word” and by your personal prayers –calling upon the Holy Spirit to move the hearts of those who are ready to explore God!